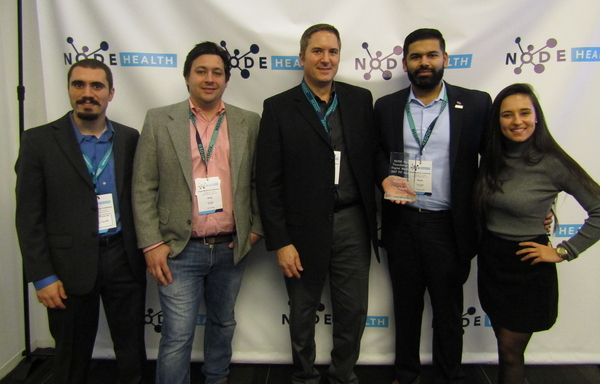 NEW YORK, NY, January 05, 2018 /24-7PressRelease/ — On Dec 5, Rx.Health was honored for the top evidence-based study as it received the “From Innovation to Transformation” Award at NODE Health’s inaugural Digital Medicine Conference. The award followed presentations around the usability and clinical application of RxHealth’s flagship product, RxUniverse, by CEO Ed Berde and VP of Corporate Development Pavan Choksi, and was presented by Victoria Taise, Director of Informatics Strategy at New York-Presbyterian Hospital. Choksi presented the results of the RxUniverse study at the Mount Sinai Health System, which resulted in RxUniverse’s ranking in the 96th percentile on Usability.gov’s System Usability Scale and exceeded digital prescription expectancies by more than 200 percent. The results of the pilot were previously presented at the American Medical Informatics Association’s 2017 Annual Symposium in Washington, DC. Berde presented the results of a second project focused on patients who were prescribed remote monitoring through the RxUniverse platform to manage Chronic Heart Failure. 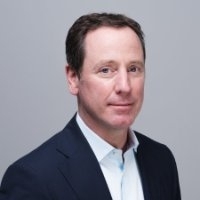 The quality improvement project, conducted at the Mount Sinai Hospital, found that patients monitoring their condition through a smartphone app and connected health devices, monitored by a population health coordinator, were less likely to be readmitted to the hospital. Among participants, the readmission rate during the 30-day window when hospitals are at risk for readmission penalties was just 10 percent, a dramatic statistic when compared to the national average of 25 percent. The annual conference, the first to focus on the science of evidence-based Digital Medicine, hosted more than 300 of the leading innovators in digital health at the Microsoft Technology Center in Times Square. The event featured panel discussions, speeches and presentations from some of the leading minds in the digital health space, and provided critical insight into the future of Digital Medicine. Rx.Health is defining the delivery of digital innovation through Digital Medicine as the most affordable and scalable solution for multiple use cases on a single platform. A spinoff from the Mount Sinai Health System, Rx.Health is dedicated to facilitating the digital revolution in healthcare. Rx.Health’s flagship product, RxUniverse , is the first enterprise-based Digital Medicine delivery system that enables physicians to prescribe evidence-based mobile health applications, multi-media education, wearables, and digital therapeutics to patients at the point of care. Information on Rx.Health and RxUniverse is available at http://Rx.Health and http://RxUniverse.com, or follow Rx.Health on Twitter @Rx_Health and LinkedIn at https://www.linkedin.com/company/Rx-Health.